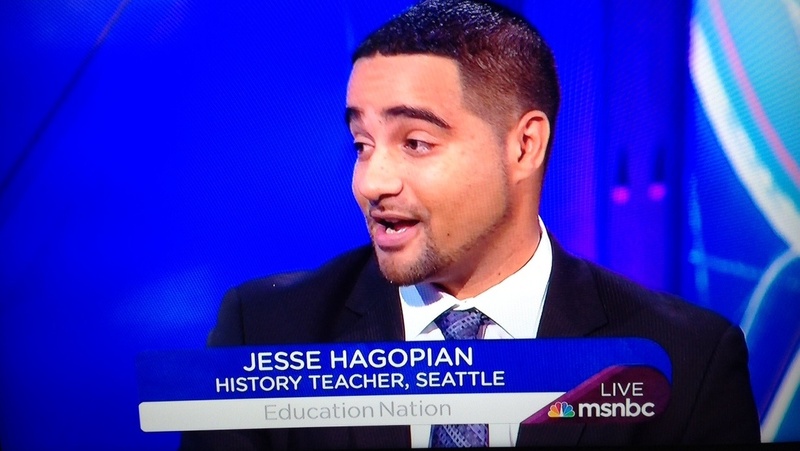 Jesse Hagopian spent the first three years of his teaching career in the District of Columbia—working with fifth-graders at an elementary school in the Southeast. He recently returned to the nation’s capital to, once again, put his knowledge as an educator to good use—this time giving members of the Congressional Black Caucus, and those attending its Annual Legislative Conference, a lesson about the impact of destructive education reform policies—like high-stakes testing—on children. Hagopian, who recently joined forces with students, parents and other educators in Seattle to take a stand against harmful standardized tests, was one of the featured panelists in a discussion examining the negative impact of the tests and parent trigger laws and how school community partnerships can positively impact learning. ….